Bertil Akesson a Franco-Swedish origin, is primarily a cocoa farmer. 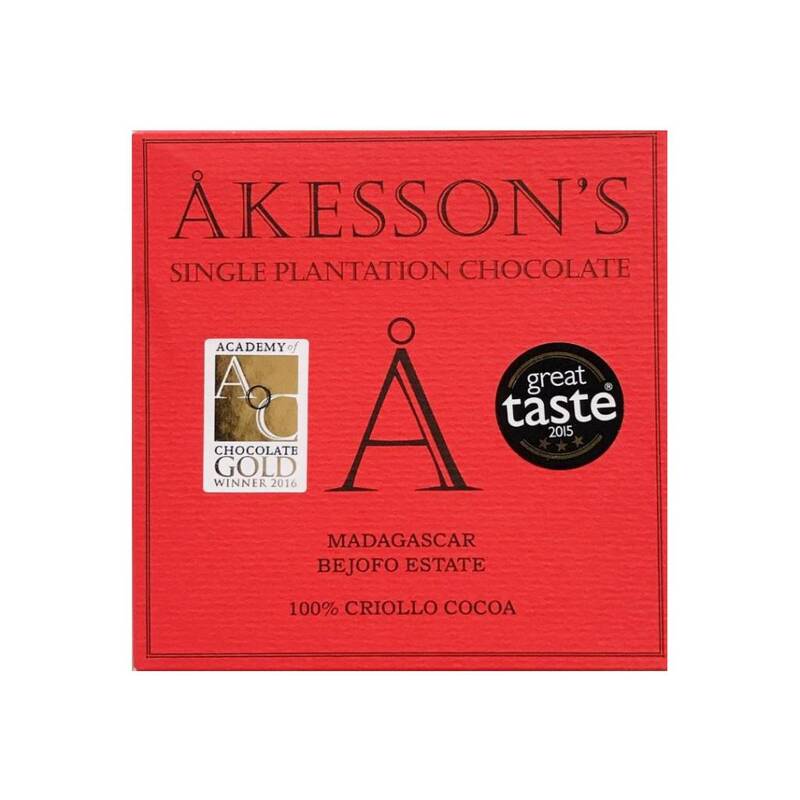 Having inherited his father's plantation in Madagascar, he decided to make every effort to produce the best cocoa in the region. On the strength of his success, he then sets out to conquer other continents where he creates other cocoa plantations: in Brazil, then in Bali. His superb chocolate bars are enriched with other ingredients that also grow in cocoa plantations: pepper, coffee or coconut. Located in the Sambirano Valley in northwestern Madagascar, the Bertil Akessons estate covers approximately 2,000 ha. Since 1920, world-famous cocoas and aromas have been produced there. Besides 300 tons of Trinitario cocoa produced each year, a very limited quantity of Criollo cocoa (2 tons per year) is harvested separately to make this chocolate. Nutritional information for 100g: Energy value: 609,7Kcal, Fat: 55,57g, Saturated fat: 3,99 mg, Carbohydrates (of which sugar): 17,97g, Protein: 9,72g, Salt : 91,6 mg.